What images do you recall from childhood? When I was a kid in the 1970s and ’80s, there were only three national television stations, plus a local one. 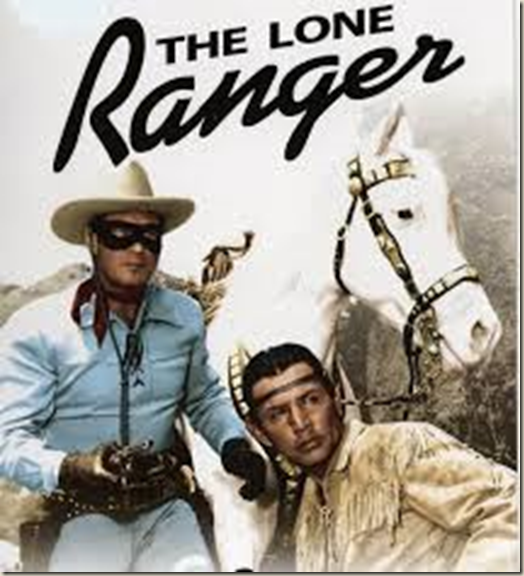 “The Lone Ranger” appeared in re-runs in syndication on my local station in Kansas City. Errors in framing Tonto’s character abounded (part of Silverheels’ legacy is having played the role and part of it is having later spoofed it). But zeroing in on what I recall from childhood, the most remarkable thing about Tonto was that he existed at all. Amidst a Western TV-movie tradition in which Indians were depicted as blurring, whooping bogeymen (or winsome primitive “princesses”), Tonto was a main character. Not the hero and stereotypical—but still, there he was. Tonto. Of late, the conversation around occasionally forced buzzwords like “multiculturalism” and “diversity” in youth literature has deepened. Champions from writing and illustration, education, library science, bookselling, and within publishing houses are discussing the need for quality quantity. Speaking out matters, and that roar must translate to sales. Vanguard authors from underrepresented communities like Joseph Bruchac, Nancy Garden, Uma Krishnaswami, Walter Dean Myers, Pat Mora, Rita Williams-Garcia, and Laurence Yep have broken ground for a new wave that includes Matt de la Peña, Eric Gansworth, Varian Johnson, Malinda Lo, Guadalupe Garcia McCall, G. Neri, and Varsha Bajaj as well as those who write within and cross-culturally or intersecting communities like Debby Dahl Edwardson, Brent Hartinger, Lynne Kelly, Jane Kurtz, Linda Sue Park, and Trent Reedy. Meanwhile, our conversation has expanded to include not only characters of various religions, regions, ethnic and national origins and (increasingly) sexual orientations but also characters with a range of gender identities, characters with disabilities and those reflecting a greater range of body types, among others. We have made strides, though the numbers don’t always show it, and there’s still work to be done. One way or another, every single one of us is part of this struggle, this transition. We are the establishment. We are accountable. We must slay our inner chicken. Punt our inner snail. Which brings us to: How? How do we go about this? Writers are readers, so what are our strategies on both fronts? For those who write within and/or outside personal experience, how do we honor and craft stories for the young readers of today and beyond? 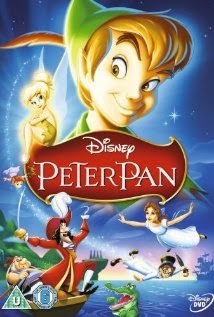 I bet they saw “Peter Pan” as kids, too. This past week I received a message every single day from a different non-Indian writer, asking me how to approach children’s-YA fiction with Native American characters. That’s right, every single day for a week. In the past, I’ve received such queries now and then—never before in a deluge. All expressed concern about their responsibility to diversity and to getting it right. They care. Caring leads to communication. That said, it’s not hard to understand resistance to the conversation. There’s peril in addressing subject matter so emotionally charged, and at times, we all fret finding the right words. 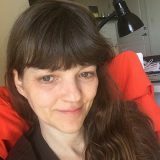 There’s also a lingering tension, a frustration that some of us experience in feeling obliged to articulate what seems self-evident to us but isn’t always to our friends and colleagues. So more and more, writers find ourselves talking with each other about these issues. 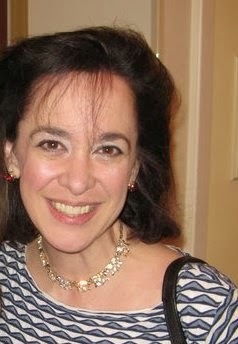 For example, on the same afternoon, I met with a white writer who felt he’d be unfairly targeted with criticism and with a Mexican-American author so concerned that a story based on her own childhood wasn’t sufficiently “representative” that she was on the verge of giving up…giving up writing altogether. Take a breath. Let it out. Repeat as necessary. Truth is, all authors worry about doing our best work and connecting with readers. Or at least we should. I know I do. I write both within and across. My latest story, a romance-friendship short, is told from the perspective a black, male, gay guardian angel. We all must stretch to some degree. Is there one right way to write? Definitely not. each manuscript. But writing defensively tends to be self-defeating. We can’t anticipate every reader’s politics or pet peeves, and even if we could, trying to placate them all would result in bland, banal mush. Let’s take risks, learn from our mistakes, and set aside our longing for bright-line rules, our quest for a single formula. It’s never going to be that easy. An example: I’ve heard it said—as though the matter were settled—that we should no longer write Native characters or those of color as best friends. The concern is that “tossing in” a minority best friend/sidekick is a halfhearted attempt at diversity, and in doing so, defaults to stereotypes. There’s validity to the implied critique. It’s the tossing, I suspect, that’s the problem. I mostly went with it, even though I opened with Tonto, who neither cracked wise nor died first, though…in his particular case…it might’ve actually improved the character if he had. I know Tonto. I’m familiar with the stereotypes. I grew up with them, and so did most of you. But do we really want it to follow that in any story with a, say, white, straight, able-bodied protagonist, the best friend can never be Lebanese-American or Korean-Canadian or transgendered? That would quickly decrease representation, and kids crave it in roles both big and small. Besides, what if the author doesn’t feel ready to take on writing, say, a cross-cultural protagonist? Does that mean her supporting casts must always be uniformly of her same culture, orientation, religion, body type, etc.? What purpose does that serve? What is the cost? In writing fiction, we focus on characters—especially protagonists and antagonists—as well as plot, setting, any speculative constructs, and watch for themes to arise. Authorial sensibility is crucial. It’s also tricky, sinking deep into our subconscious. We can only be so aware of it. But we can develop a more inclusive, more socially aware sensibility with nurturing. True, characters have sensibilities of their own, sometimes in direct contradiction to ours. Of course they will have flaws and make mistakes. Some of them may be genuinely lousy individuals. (I have written Lucifer. I am not the devil.) But how we frame our characters’ thoughts and behaviors, to varying degrees, still comes back to us. Widen our range of model texts. Study books by the authors mentioned above and then keep reading. It’s a small sampling, one of many places to begin. Pay attention to the conversation around literature and diversity. I routinely highlight related articles and books here at Cynsations. Weigh various viewpoints, competing viewpoints. Realize there will always be exceptions, and that sometimes seemingly contradictory truths can co-exist. Consider (and reconsider) our vision for representation within our own body of work and our reasons for it. The exercise of articulating one’s philosophy can be illuminating. Remember that execution is everything. Ask ourselves the tough questions. Be honest in our answers. Together these steps can increase our understanding, our resources, and what we bring to bear. When I say “tough questions,” what do I mean? Enough with the abstracts. I’ll step up. Once I have a novel draft, along with a myriad of craft considerations, I gut-check my cast. The goal is to reflect and weigh assumptions, to question impulses and instincts. My latest novel, Feral Curse (Book 2 in the Feral trilogy), introduces a secondary character, Jess Bigheart. Jess is the best friend of Kayla Morgan, who offers one of the alternating points of view, along with fellow protagonist Yoshi Kitahara. Jess is a Native American. This can’t come as a huge surprise. Am I going to craft a fantasy world, based on this real one, without any Native people in it? Obviously, no. American Indians are in this world. American Indians are in that one. Attentive readers of the previous books have already noticed a brushstroke or two to that effect. Jess doesn’t get a lot of screen time, though it looks like she’ll have a larger role in Book 3, “Feral Pride.” But cue the raised brow. Jess, a Native American, is Kayla’s best friend. 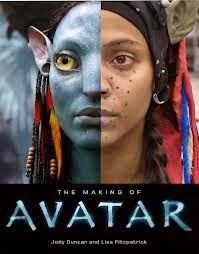 Is she Tonto? Is she the “faithful Indian companion”? Let’s briefly address that and go more global. I’m by no means talking only about writing Native characters. There are considerations specific to each community, which merit conversations unto themselves. But there’s also common ground. Is she a stock character or stereotype? Skimming the pages… Jess is a high school student who lives in fictional, small-town Pine Ridge, Texas. She has thick curly hair. 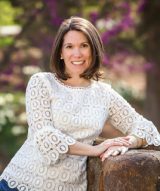 She’s an Osage girl, a citizen of Osage Nation in Oklahoma and has ties to the urban Indian community in Austin. She’s the local sheriff’s daughter, and the relationship between her and her dad is great. They go fishing together. She helps out part-time at his office. What else? Jess is close to her sisters. She’s played soccer and studied ballet. She likes superhero and sci-fi movies (I adore geeky characters). I could go on, but Jess is an individual. Note: If Jess had a smaller role, like a walk-on or cameo, would the same level of development be necessary? No, a few brushstrokes might do. But just because it wouldn’t all appear on the page doesn’t relieve us for thinking it through. Is she the exotic (related to stock, but with its own spin)? In a novel where the characters include shape-shifters, a ghost, a yeti-like boy and a near-south Austinite? She’s arguably the most typical YA character in the story. Besides, Jess isn’t the only Native or “minority” character and, for that matter, she’s not the only significant human character either. Is she a diminished/”magical” character? Is she only there to impart Yoda-like wisdom or to make the protagonist(s) look good? Feral Curse is Kayla’s story (and, to a lesser degree, Yoshi’s), but Jess holds her own. I can’t explain without spoilers, but Jess isn’t there purely to bolster Kayla (or Kevin Costner). They each have their moments. Note: The “magical minority” usually involves stories featuring a white, straight, able-bodied, etc. protagonist, which doesn’t apply. Kayla is black, a werecat adopted from Ethiopia by African-American human parents. Yoshi is a Eurasian (Japanese) werecat, newly relocated to Austin from rural Kansas. However, even where the protagonist isn’t white, straight, able-bodied, etc., the question is still worth considering. Horror fans should especially appreciate this question. I’m not going to tell you the answer. The series has its share of life-and-death suspense. But suffice it to say, I’m not spending a lot of time on this question for Jess. Note: It’s not that the “minority” best friend should never die or be in jeopardy. We don’t want automatically safe characters any more than too-disposable ones. Instead, we should weigh our motivations, what’s accomplished and why. Is she “a model minority”? Both Jess and Kayla are keeping secrets from each other, but Jess also spills info that maybe she shouldn’t. In my draft of book 3, nobody’s playing strictly by society’s rules, Jess included (society is bent, verging on broken). She’s a good kid, but not perfect. Does heritage/identity/culture/etc. inform the character? Yes. Will non-Indian readers notice? Maybe. Will Native readers pick up on it? Not necessarily, but probably most of them will. In my latest revision of Book 3, I reconsidered Jess’s role in a scene and realized, for culturally-based reasons, she should disagree with Kayla and say so. I revised accordingly. Not because all Native people always think the same or are raised the same way, but because of this specific character under those specific circumstances. I’d missed it before because I was so deep into Yoshi’s point of view. Note: The extent to which this question comes into play will vary, depending on the story. We don’t want characters so identity obsessed/trapped that they never get off the ground. They shouldn’t be two-dimensional excuses for social studies lessons or to score political points. What will young readers think of her? How about teens she reflects? Sometimes we get so wrapped up in our own intent, however benevolent, that we forget to consider impact. Are there limits to our ability to do so? Sure, but if we’re writing a related character, we’re already stretching in that direction. I hope Osage/Native teens will like Jess and her dad. Some may wonder about my choice of “Pine Ridge” for the name of the town. One has already written to ask me if it’s a wink. I love that, “a wink.” In any case, they’re not going to shrink in their seats if this book is read aloud in class. Note: How about small-town teens? Texans? Girls? Geeks? Identity is a bundled package. This isn’t to say that a character of any background can’t be an antagonist, even a villain. We want to reflect the full range of humanity. With characters wrapped in a fantasy construct (like werecats), that burden is even higher. But let’s ask ourselves if we’re using identity markers as shorthand for inferiority, malice, or stereotypical traits. Maybe not intentionally, but simply from having absorbed certain predispositions as members of our overarching society. Sometimes we choose not to reinforce everyone’s comfort zone. Remember my black, male, gay guardian angel? His name is Joshua, and he first debuted in Eternal (Candlewick, 2009). I routinely write heroic characters of faith. Kayla Morgan and Jess Bigheart from Feral Curse, for example. Cassidy Rain Berghoff from Rain Is Not My Indian Name (HarperCollins, 2001) and Ray Halfmoon from Indian Shoes (HarperCollins, 2002). It concerns me that people of faith constitute an underrepresented group in children’s-YA literature. At the same time, I know religion is sometimes cited as a justification for homophobia. I’ve been asked why I found it “necessary” to write gay secondary characters like Ruby, Sergio, Harrison, Freddy and Evie. But if a few readers are put off by Joshua, so be it. I stand with my angels. Again, the Wise-Cracking Minority Sidekick Who Is the First to Die isn’t the only trope(s) or issue to consider. These are by no means the only questions, merely a sampling. They can be applied to characters with various combinations of identity markers. I’ve mentally clicked through them (and more) for all of my own characters, including Aimee who’s a white, middle class, straight, able-bodied, self-described “Goth girl/geek girl/New Age hippie girl.” Her point being, she’s more than a label. She won’t be stuck in a box. Do I move forward only if I have ideal answers to each question? No, they’re tools, not chains. Take Yoshi. I don’t love that he’s a fantastical person—a werecat—and the only Asian/Eurasian American character in this book. But Pine Ridge is loosely based on Bastrop, Texas. 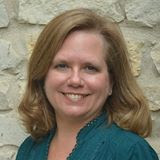 Bastrop’s largest minority populations are African American (17 percent) and Latino of any race (almost 18 percent). I already have Native characters in a town wherein its model has a less than one percent population (one family). Granted, Yoshi’s not a Eurasian American human. He’s a Puma concolor sapiens. Yes, he earns his Cat status. His shifter abilities, societal situation and sensibility all come into play. He has his feral moments, which don’t quite line up with preferred societal behavior, in the way that werecats (or–cough–teenagers) sometimes do. But in my experience, only grown-ups will split hairs in gauging his representativeness. Teens will view him as reflecting Japanese or Eurasian Americans and werecats. And they crave diverse heroes in speculative fiction. They want the world to root for them like we do for Katniss Everdeen and Harry Potter. Remember: Anybody can be a hero that everybody cheers. In fictionalizing, I can tweak, but introducing another Asian American character, for the sake of it, might feel forced. It could jolt readers out of the story in the same way the lack of Asians/Asian Americans sometimes jolts this devoted Whedonite out of “Firefly”/“Serenity” and Buffyverse. On the upside, there are Asian American human characters previously featured in the Tantalize-Feral universe. That’s the best I can do right now. Meanwhile, given the focus on shifters, I framed to indicate that “of color” doesn’t suggest “animal.” The diversity within my cast pushes against it. The humans of color, the shifters who project WASP. Clyde Gilbert, a Wild Card Lossum (Lion-Possum), is a co-protagonist and presents as a white boy. As for Kayla, I’ve looked twice at her as a model minority. She’s at the top of her high school class, has an engineering scholarship to Cal Tech, and is a track and cross-country state champion. Her dad is the mayor, effectively making her the first daughter of Pine Ridge. On the other hand, she underestimates people who love her, arguably takes advantage of her cheetah-like speed, and keeps secrets from her parents. We weigh competing traits, the reasons behind them, and go from there. Does heritage/identity/culture inform my leads? Feral Curse features an Asian-American guy and a “dark-skinned girl” as dynamic, attractive headline heroes (despite hopefully fading prejudices to the contrary). The super-arc over the series focuses on conflicts between different species within the Homo genus—Homo sapiens, Homo shifters (including subgroups) and Homo deific. Thematic questions include: What makes us human, and what makes us humane? The nature of those tensions have real-world parallels. Brushstrokes illuminate the real-world context. The magic is in the metaphor. The tone isn’t heavy-handed. My characters are adept at wit and humor. They’re plugged into pop culture. It’s fast-paced adventure-fantasy, after all. I tell teens the story is about “spec-fic geeks in a spec-fic world.” But however (hopefully seamlessly) interwoven, there’s no way around it. That construct is unusual. In children’s-YA publishing, it could be interpreted as a statement. I respect my YA readers. I trust them. Within the story, I largely let it speak for itself. I’m on facebook & @CynLeitichSmith. Might another writer handle it differently? Might she make different judgment calls with casting? Might he emphasize theme in a different way? Might an apprentice using my book as a model wish I’d done something else? The point is not the results of my abbreviated sample analysis but that we all engage. We ask questions and wrestle with answers. Sometimes we make changes. Sometimes we don’t. And hey…hey you, over in the corner! Yes, you! Remember what I said about breathing? Don’t panic. Maybe you’re still trying to figure out what “point of view” means. Maybe you’re doing well to write what you do know, let alone beyond it. Maybe you’re a teen writer, seeking refuge in Story. That’s okay. Really, it is. What we feel ready to do and when? Those are deeply personal questions. Ones each of us has to answer for ourselves. Every manuscript—from apprentice to contracted—has its limits and possibilities. Every writer does, too, but that balance shifts over the course of our creative journeys. It’s like exercise. Forcing a performance goal before we’re ready tempts injury. Working steadily toward it may be a smoother path to success. Give yourself permission to grow. In the meantime, do what we all should be doing to support diversity in children’s-YA publishing. Step up as a reader, a noise-maker, a library advocate and bookstore consumer. Talk to young people about reading and writing and publishing. Welcome new voices into the writing life. Share your knowledge of the craft and industry. Actor Jay Silverheels’ legacy is fascinating, layered and contradictory. It still generates strong feelings in his Native and non-Indian audiences, both pro and con. Did you know he was a boxer and a lacrosse player and a stuntman? He appeared with Humphrey Bogart in “Key Largo” (1948). His birth name was Harold J. Smith. I’ve been contemplating his work with the Indian Actors’ Workshop. It inspired me consider and reconsider his career. It prompted me to reflect on creative communities and ponder the importance of each of us, in whatever way we can, reaching within and beyond ourselves. you see the children in each? Consider what was said. Consider what went unsaid, and then reconsider all of the above. 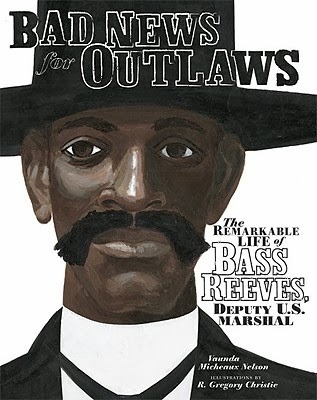 It also reminded me of Vaunda Micheaux Nelson’s Coretta Scott King Award book Bad News for Outlaws: The Remarkable Life of Bass Reeves, Deputy U.S. Marshal, illustrated by R. Gregory Christie (Carolrhoda, 2009). Reference sources/readers in an “any-mistakes-are-mine” way, not as human body shields. While writers can (and increasingly do) successfully write beyond our own identity markers, life experience does matter, and voices from underrepresented communities should be nurtured, sought out and held up as models. For example, to say that (my literary crush) Benjamin Alire Sáenz’s personal background hasn’t enriched and informed his writing strikes me as ridiculous (of course his commitment to developing his literary art played the decisive role). At the same time, should Ben elect to craft a story about, say, tapestry-weaving dragons from an alternate dimension, I will be first in line to purchase and marvel over it. 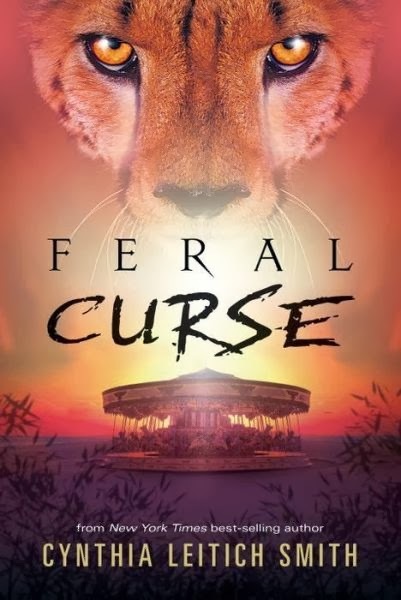 My sample analysis goes beyond one book because Feral Curse is part of a trilogy, which spun off from the pre-existing Tantalize series, set in the same universe. So, I consider each novel both as a stand-alone and as part of the whole. Check out Writing Cross-Culturally and 10 Resources for Writing Cross-Culturally from Lee & Low. 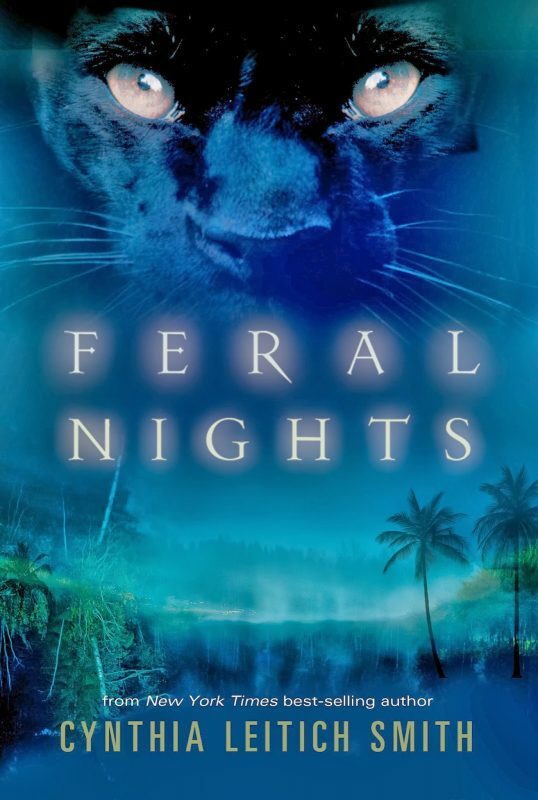 Feral Curse is now available in hardcover and e-book and Feral Nights is now available in hardcover, e-book and paperback from Candlewick Press in North America. Both novels are likewise now available on audio from Brilliance. The series is also published by Walker Books in the U.K. and Walker Australia and New Zealand. For more information, see Feral Curse: Giant Steps Through the Ashes. 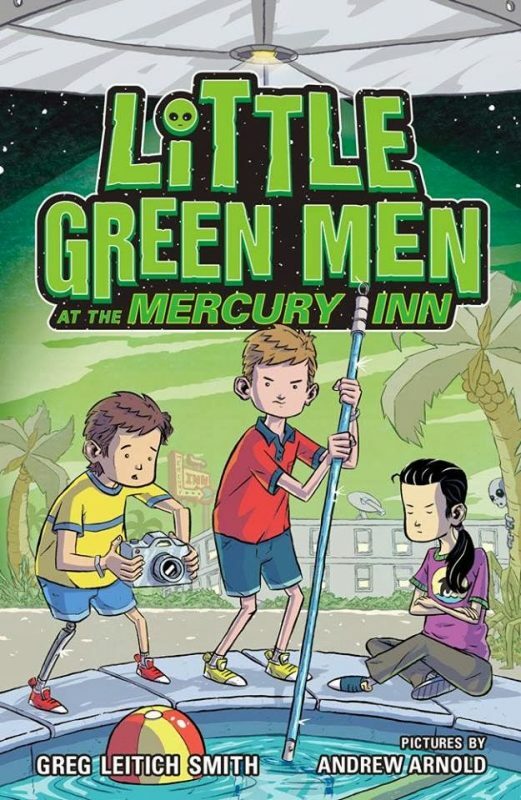 At that link, you can also enter a six-book giveaway, sponsored by Candlewick Press. The term “vanguard authors” is borrowed with great affection from the Brown Bookshelf, partly as an excuse to urge you to check out 28 Days Later, a currently ongoing Black History Month celebration of children’s-YA authors and illustrators. The Joshua short story I reference is tentatively titled “Cupid’s Beaux” and will appear in Things I’ll Never Say, Short Stories about Our Secret Selves, edited by Ann Angel (Candlewick, spring 2015). For you “Buffy: The Vampire Slayer” fans, Greg Leitich Smith has this theory that U.C. Sunnydale has such a low Asian-American population because it’s simply not that good of a school. Yes, he thinks he’s hilarious. I’ve never seen “Avatar” (2009), so I can’t comment on it per se but am rather nodding to the “South Park” episode that spoofed it. I’m not a regular “South Park” viewer, but that one caught my attention. Note: I haven’t seen Johnny Depp’s “The Lone Ranger” (2013) either. Yes, the Pine Ridge town name is “a wink.” What it means should become clear in the future. On a more literal note, the Bastrop region is home to the famous Texas lost pines. With regard to the “model minority,” I linked to the “Glee” episode, “Asian F” (2011), which features a parody of the stereotype and is one of my fave episodes. 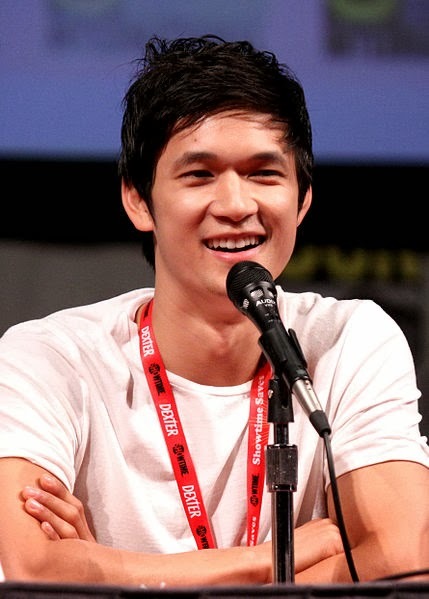 I’m a fan of Harry Shum, Jr., who plays glee-club member, dancer extraordinaire, and emerging singer Mike Chang. Are you still reading? That’s tremendously generous. My first instinct was to split the post into three parts or reduce the word count by half. But upon reconsideration, I decided to settle in for a while. I appreciate that you cared enough to join me. Thank you. Thank you, Cynthia. As always, you've given us a lot to chew on and apply to our writing and reading. Thanks, Cyn. A big, rich, brain-ful to go away and chew over again and again. Thanks so much for such a thoughtful post. Cynthia – This post happened right when I needed it. How did you know? Cyn, you have no idea how much I needed this post right now. (Actually, I guess you do.) Thanks so much for your calm and your logic. I'll bookmark this for frequent reference. Well and thoughtfully said, Cynthia. Thank you! Have bookmarked this post and will refer to it again and again. It is just what I needed to talk me off the ledge the recent discussion on the CCBC listserve pushed me toward. Inhale, exhale, repeat. Read this post again. Breathe. Thank you! This is great, Cyn! Thank you for taking the time to share these important ideas and suggestions. I also appreciate your point that character individuality/specificity is important. Because even within our classifications, for lack of a better word, we are beautifully diverse. For example, one white, cisgendered, middle-aged, Midwestern, hetero, physically challenged soccer mom is not like another. I also so appreciate your calls to action–to talk about this, to support under-represented groups of authors (and readers) and to stretch as writers. Almost two weeks later and I am still thinking about this post! I've also started analyzing books and movies from a different perspective, asking whether the author relied on those established character tropes or dared to go beyond them. In some cases, it even prompted me to investigate further to find out if the author was writing beyond (what appears to be) their personal experience. I've been inspired by examples of authors who defeated their inner chicken and dared to learn and write from a different perspective. As other writers have mentioned here, honest respect for the individuality of each character is vital. Thanks for starting this discussion! Great post, Cynthia! I've had the same reaction to Firefly as well. I love the show, but each time I re-watch it, I ask out loud, "If everybody's speaking Chinese, WHERE ARE THE CHINESE PEOPLE?" Where are ANY Asian people on that show, besides the few we see in crowd scenes on space stations or planetside port towns. It's always bothered me. I wanted to tell you that I took a chance on writing some Native American characters for my new fantasy trilogy for Tor that debuts this fall. In fact, my re-imagined U.S. of the 1870s is the "United Nations," a country majority-ruled by Native Americans after all contact with the Old World was lost in 1770. The surviving Yankees in America turn to the Iroquois League for help, and become one of their "tribes." As I built the world, I incorporated more and more tribes, and cultures, and mythology, and characters, learning so much more about Native American history than I ever knew before. 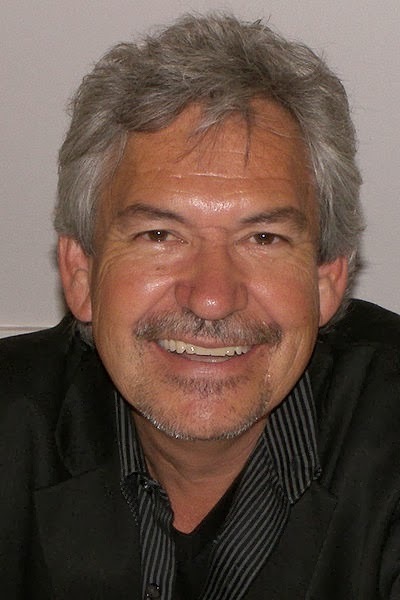 I'm nervous–I'm a white man writing about a country populated and run by Native Americans. I don't know everything about Native American culture, and I never will. And I don't have the authority that comes with being part of that culture. Will I take heat for any misunderstandings? For making mistakes? For being presumptuous? I hope not. I loved the idea so much, I loosened up and took a chance, just as you suggest. 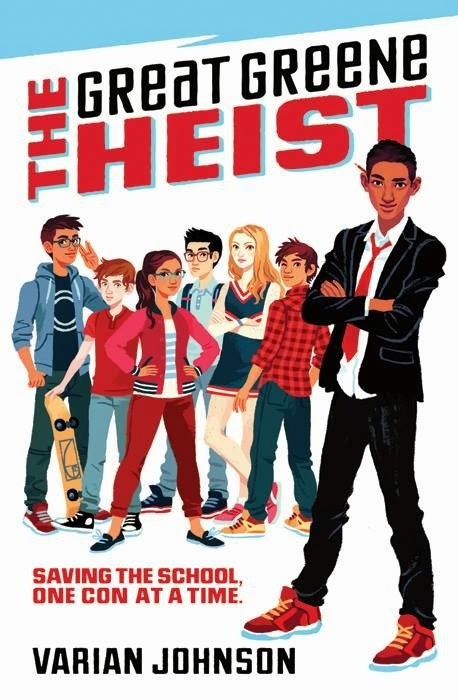 Of my seven main heroes in the League of Seven (the name of the first book, and the series), only two are white–the rest are kids of color. 50% of American kids are non-white, but something like 85% of all kids book characters are white. It's about time our books reflected our world. Thanks, Shannon, Vijaya, Ellen, Rosanne & Tanita! Jean, glad to hear it! Thanks for the link, Kathy! I've watched that TED talk, and it's a must-see. Lisa, I'm sure your clones would be lovely. But yes, we must all stretch to some degree. Great point, Pam. And yes, Katherine is definitely a model author for study. Lovely to see you here, Kellye. And yes, specificity is key. Thank you for sharing, Kara! Gayleen, this is why you were such a great student–always going the extra mile and thinking things through on multiple levels. Alan, I found myself searching the screen as well–very few faces in those crowds, though the Tam siblings were likely Eurasian. Your upcoming story sounds ambitious and fascinating. I've had a "what if" idea or two that's similar (great minds! ), nothing I developed. Will look forward to seeing what you've done with it! Here after following a link from the AICL blog. I just wanted to thank you for this post. 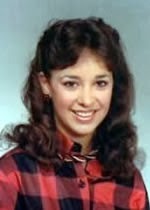 I'm a non-Native working on a YA novel with a cast of characters hailing from all over the province. I knew that I didn't (and don't) want every character to be entirely part of the mainstream culture, but I've been especially nervous about introducing an Ojibwa character, because I have become aware of some of the pitfalls I can run into writing through a non-Native lens. At the same time, if my student body is a microcosm of present-day Ontario… how can I not include a Native character? Right now, I'm concentrating on developing her as an individual, trying to find ways to bring her background in that don't feel forced and don't play into romantic stereotypes. And I've been trying to reach out online to Ojibwa communities, though I've not yet had a response. Hoping though. Anyway, I just wanted to say thanks. Looking at your checklist, I'm feeling a bit better about the way "Marianne" is shaping up. 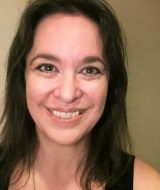 Thank you for reading AICL and Cynsations, both of which I'm hopeful will be terrific resources to you in self-educating about children's-YA writing as well as writing by and about Native peoples. I greatly appreciate your concern about the lack of mirrors/windows for young readers and the need for representation. I wonder if you have had the opportunity to study writing with a children's-YA author with experience in this area. Let me know, and perhaps I can direct you to a solid craft opportunity. Thanks so much. No, I haven't. Mostly, I've been posting fanfiction and growing through practice and feedback. If you do know of someone, either in the Toronto area or online, that would be great!